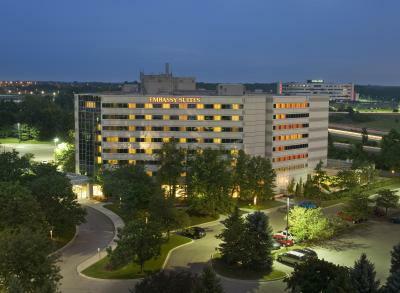 Lock in a great price for Embassy Suites by Hilton Detroit Troy Auburn Hills – rated 8.2 by recent guests! I was super upset about the jacuzzi being removed that was the reason why I decided to stay!! Everything was very clean and the staff was very very nice they always spoke to us when ever they saw us in the elevator and threw out the hotel. The reception and made to order breakfast was nice. Very spacious, clean and all basic facilities available. Good choice of breakfast. The staff was great from front desk to restaurant. The restaurant area is very nicely appointed. The staff person making the omelets at breakfast was outstanding. His cooking was excellent and we especially liked his attitude and demeanor. Made breakfast very enjoyable. You were out of ink and the clerk offered to let me print from her computer. I am a Pastor. I like the dumbbells and weight rack in the fitness center. Good for strength training. Breakfast is always wonderful. Coffee was very good. The staff at the hotel is outstanding. Everyone does their job exceptionally well and they were extremely helpful and pleasant. The food at the bar was very good. Embassy Suites by Hilton Detroit Troy Auburn Hills This rating is a reflection of how the property compares to the industry standard when it comes to price, facilities and services available. It's based on a self-evaluation by the property. Use this rating to help choose your stay! Offering a peaceful suburban setting and only a short drive from the attractions of Detroit city center, this all-suite hotel features spacious accommodations, complete with free local area shuttle service. The Embassy Suites by Hilton Detroit Troy Auburn Hills is located near the Detroit Zoo and the luxury shopping of the Somerset Collection. The casinos and sports venues of Detroit city center are also easily accessible. Guests at the Detroit Troy Auburn Hills Embassy Suites can start the morning with a free cooked-to-order breakfast or with a workout in the state-of-the-art fitness center. 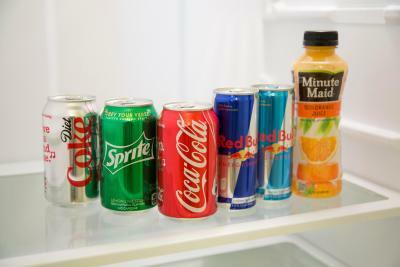 The hotel also offers in-room microwaves and refrigerators as well as an on-site convenience store. When would you like to stay at Embassy Suites by Hilton Detroit Troy Auburn Hills? This suite is newly renovated and features a microwave and refrigerator. With a spacious separate living area with a sofa bed, this suite has a 2 large flat-screen TVs and an iPod docking station. 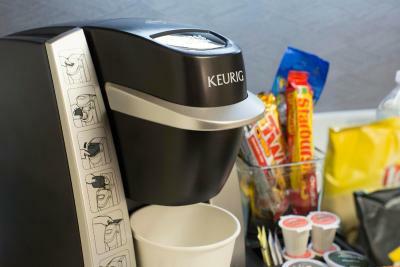 A microwave, refrigerator and tea and coffee-making facilities are provided. With a roll-in shower, this accessible suite has a TV with cable channels, a microwave and a refrigerator. 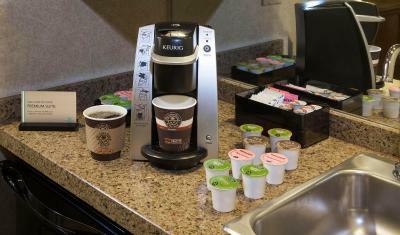 This suite has a tea/coffee maker, seating area and air conditioning. House Rules Embassy Suites by Hilton Detroit Troy Auburn Hills takes special requests – add in the next step! One child under 4 years is charged USD 15 per night when using existing beds. 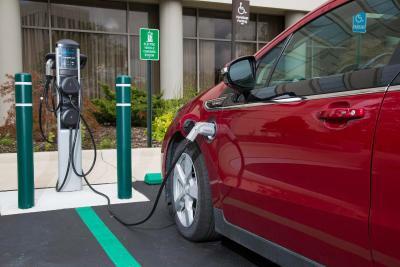 Embassy Suites by Hilton Detroit Troy Auburn Hills accepts these cards and reserves the right to temporarily hold an amount prior to arrival. Everything. The shower didn't work. I was offered another room. I wasn't given a refund. I was under the impression the the construction was was already done. This was the worst hotel stay I have ever had. Lots of construction going on. Elevator floors were breaking apart and were taped. Not particularly a good area if wanting to get out and shop or eat. Pictures are definitely far off from the faucility I actually ended up leaving within 20 minutes of being there and just going to a holiday inn express and was more satisfied. Very disappointed as it was my wedding day and we walked into a nightmare. All the construction that was going on. I slept on tbe let out couch. I had to call and get clean linen. I was here with my daughter and grandson in December. It was much more comfortable then. The front desk staff were very nice. The lady that took our omlet oder fir breakfast this morning was very nice as well. The paint was peeling off the ceiling of the bathroom. We had dinner at ur restaurant and ordered fish tacos, Did not enjoy them they had no taste and very dry. The pool and hot tub were closed. That was the only reason I booked there. I was terrible to go check in and see that. It ruined my whole stay. Staff was great and breakfast was nice. It’s dated. The toilet did not work properly. Exhaust fans needed for bathrooms. Room was filthy. Super dusty like it hadn’t been cleaned in months. Check in staff not friendly, could not locate cart for my huge amount of belongings. Made 6 trips up elevator . Room, happy hour, overall the accommodations were excellent. Dishes had a spot or two of food.. Bed was roomy and comfy..